from ARS / Rescue Rooter. Whether you need residential or commercial plumbing repair or replacement services, Rescue Rooter is the right choice for you. We are Denver's trusted local source for all your plumbing needs whether you have a clogged drain, stopped up toilet, faucet leak, sewer line problem, water leak, or need a water heater repair. 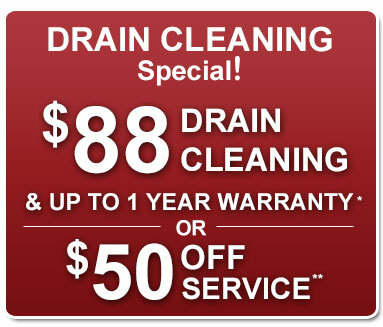 We also offer full installation services - pipes, drains, faucet, toilet, sink, garbage disposal, water heater, etc. You only need read what our other clients have to say about us to know that Rescue Rooter is the right choice. ARS provided a quote that was 1/3 that of the competition and Jeremy provided an amazing customer experience. I am so used to service people coming back during or at the end of the job and telling me the price has tripled, but not this time. Jeremy accurately assessed, told me what he was going to do, did the job, cleaned up, we settled and I was back in business. I recommend ARS/Jeremy.- Paula S.
Jeremy was fantastic, attentive, professional and relentless in trying to solve our problem, which turned out to actually be the City's problem with its own sewer system backing up. I will use you all and recommend you all in the future without hesitation.- Marc P.
‡See ARS.com for our Exceptional Service Guarantee.